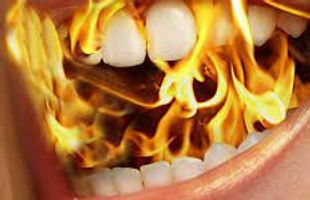 I am nearing nine years with Burning Mouth Syndrome, and if you have read this blog, you know I have tried many things to control or cure it. So far, the only thing that has been a reliable relief for me is Klonopin/Clonazepam Orally Dissolving Tablets. Yesterday, an old friend reached out to me through Facebook and said she had a friend who was having a “burning tongue,” and she remembered that I had said something about that at some point. Those of you who suffer from this mysterious chronic pain (or others like it) know exactly what I felt in that moment.